Recently dubbed “the most underrated city in Europe”, Lisbon has become one of the hottest destinations in Western Europe. 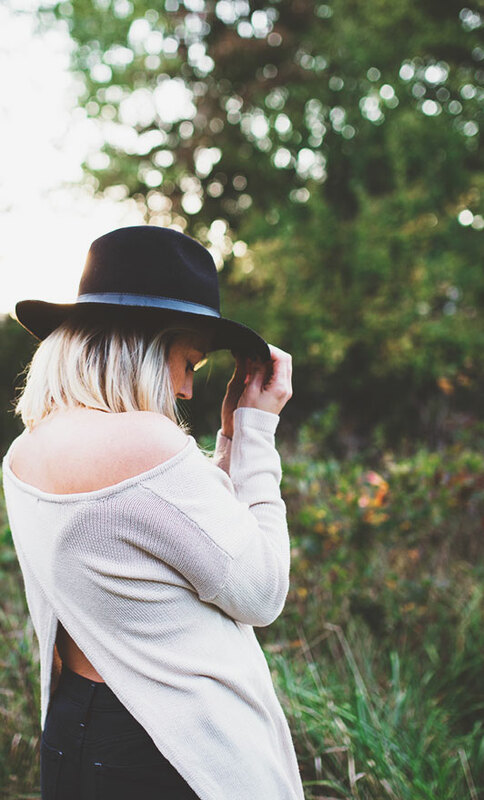 If you haven’t been there already, you probably know someone who has because the secret’s out and everyone’s talking about it! 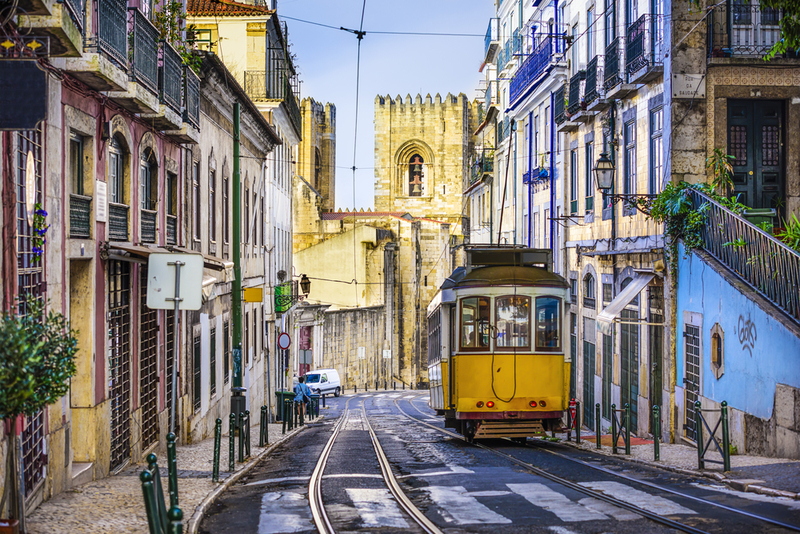 Being one of the oldest cities in Europe, Lisbon is drenched in Old World history. Not only that, it is a beautiful city situated at the mouth of the Tagus River, meaning great views AND great Mediterranean weather. Lindsay, Jill and I spent 9 days in Lisbon together, though I’ve been there before on my own, and they ended up staying almost a month without me. In other words, I believe we’ve collectively spent enough time there to give you a solid list of recommendations if you find yourself in this super cool, artistic city. We’d like to think our list is a combination of the typical touristy “must-see” sites and some more local hot spots where the Alfacinhas (Portuguese for ‘Lisbonites’) hang out. 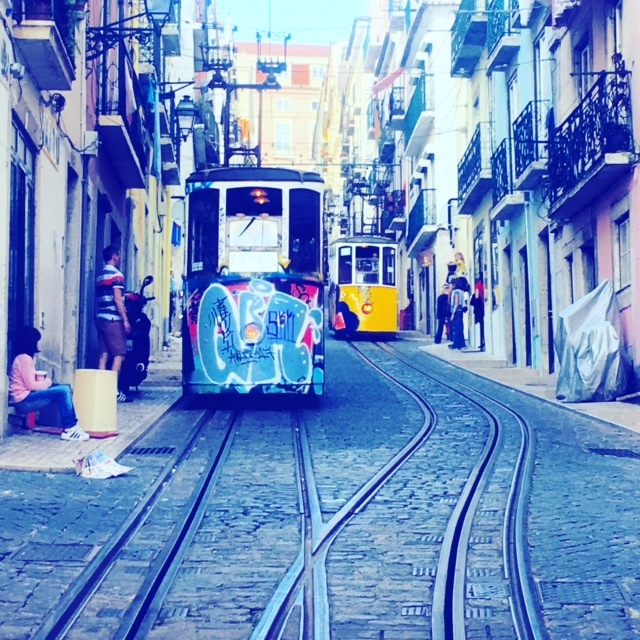 If you’re looking to stay in the heart of Lisbon, we recommend the following neighborhoods: Bairro Alto, Alfama, Graça, or Saldanha (the business district). As always, we like to offer budget lodging recommendations for travelers who are looking for more wallet-friendly places to stay. 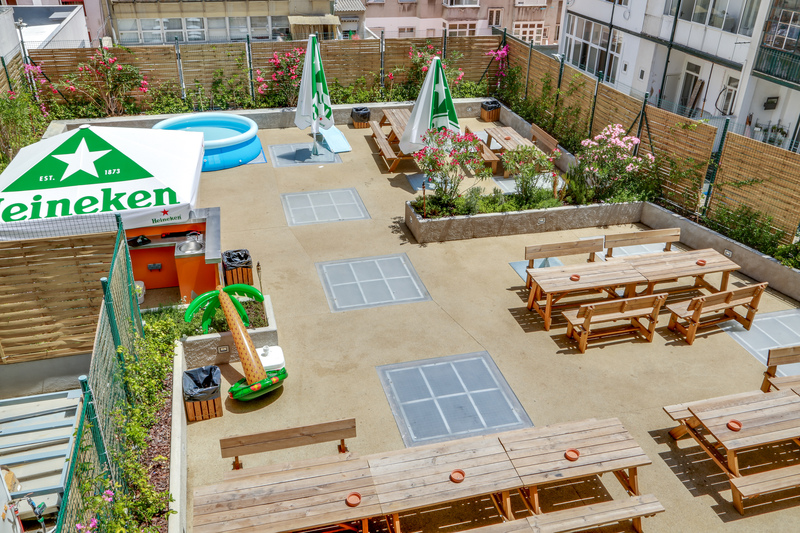 Our budget lodging, Hans Brinker Hostel, is our top choice for affordable lodging in a great location. We’ve included more details below**. 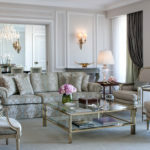 For those of you who prefer more luxury or self-catering digs, we’re whipping up another post with just that so stay tuned. Roam the charming and hilly cobblestone streets of the Baixa, Bairro Alto and Chiado. Start at the Rossio Square and make your way towards the water until you hit the Praça do Comercio (Commercial Square in English), which has a great view of the river. On your way you’ll come across cute shops, street vendors and the Elevador de Santa Justa (Santa Justa Lift). It’s worth going up to see the view of the city, including the river and the famous Sao Jorge Castle. In Bairro Alto, make sure to stop at the Miradouro de São Pedro de Alcântara where you’ll see another great view of the city, as well as more food and craft vendors. Then make your way up to the Embaixada Concept Stores. It’s an Old World building that’s been converted into a small mall, which I thought was super cool and chic. Make your way down to the Time Out Market inside the Mercado da Ribeira. The indoor market is full of local food vendors where you can find an array of choices. 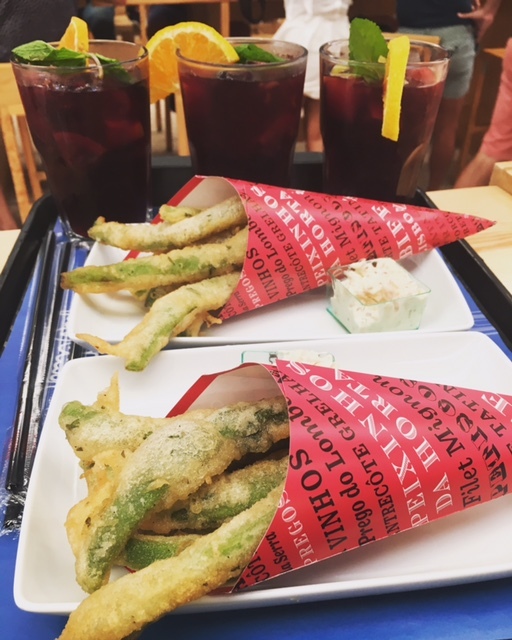 We recommend the peixinhos da horta (the crispy fried green beans pictured below) from Café de São Bento, the stewed gizzards (moelas) from Cozinha da Felicidade, the fig and presunto pizza at Pizza A Pezzi, and finally the Bacalhau a Brás and the cheese with pumpkin jam at Miguel Castro E Silva. There are so many options here it’s hard to choose, but those are some of our top picks after going to this market several times. Pro tip: if you’re with a group, have some people locate and save seating right away while others pick up food, because it can get really crowded. Spend the day in Belem. 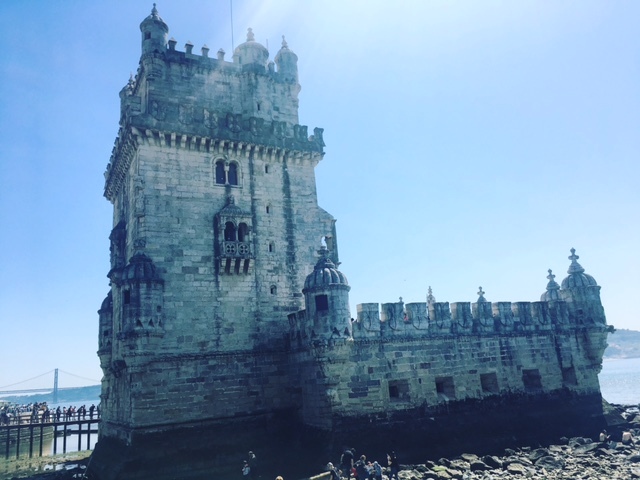 See the Belem Tower, then walk over to the Monastery and take in the beautiful architecture inside and out. Have a warm pastel de nata (egg custard tart) fresh out of the oven at the famous Pasteis de Belem. 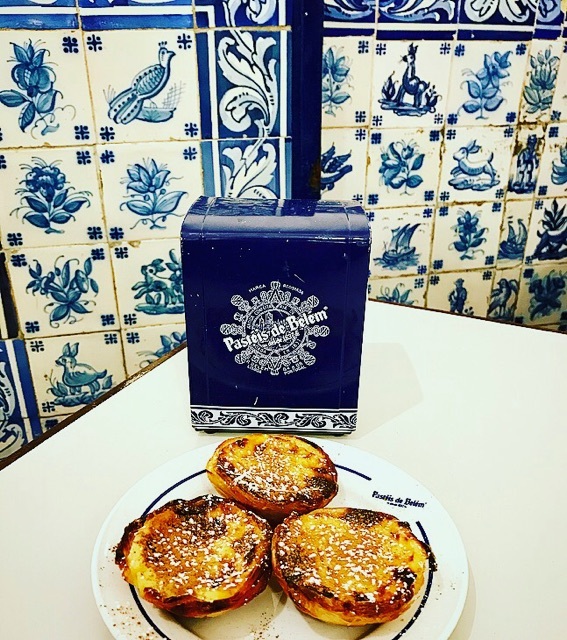 I live in a country where you can find pasteis de natas in every pastry shop, so before we went I wasn’t too excited for the egg custard tarts at Pasteis de Belem. BUT, I can honestly say I was impressed and it’s worth making the trip for these pastries that will melt in your mouth – they’re so good! This delectable recipe was born from an egg yolk surplus in monasteries in the 1700s when egg whites were being used to starch nuns’ habits. The Portuguese typically sprinkle these treats with cinnamon and powdered sugar. Pro tip: there is a line to take out pastries, and a line to sit down. The restaurant is expansive, so there will likely be less of a wait to sit down and order than to take your egg tarts to go. Take a stroll through the LX Factory. It’s like a micro city set in an old factory, which is now a hipster hangout with tons of eateries and cute shops that sell local goods. Take a day trip to Sintra. Located about an hour outside the city, Sintra is so lush and green. 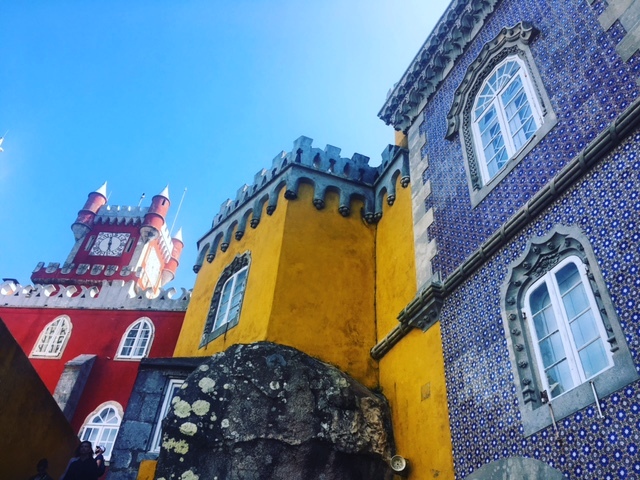 In Sintra, you can see the Pena National Park Palace (pictured below) and the Monserrate Palace. Explore the small town’s shops and enjoy the restaurants and cafes. Make sure to try the pastries from Sintra, too, especially the queijadas! Jill and Lindsay also recommend a day trip to Mafra and Ericeira, two really charming coastal towns about 45 minutes on a bus outside of Lisbon. 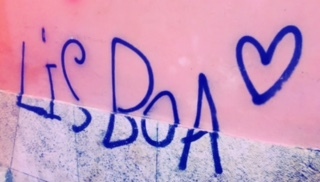 You can easily catch a comfortable and cheap bus from the Campo Grande bus terminal. 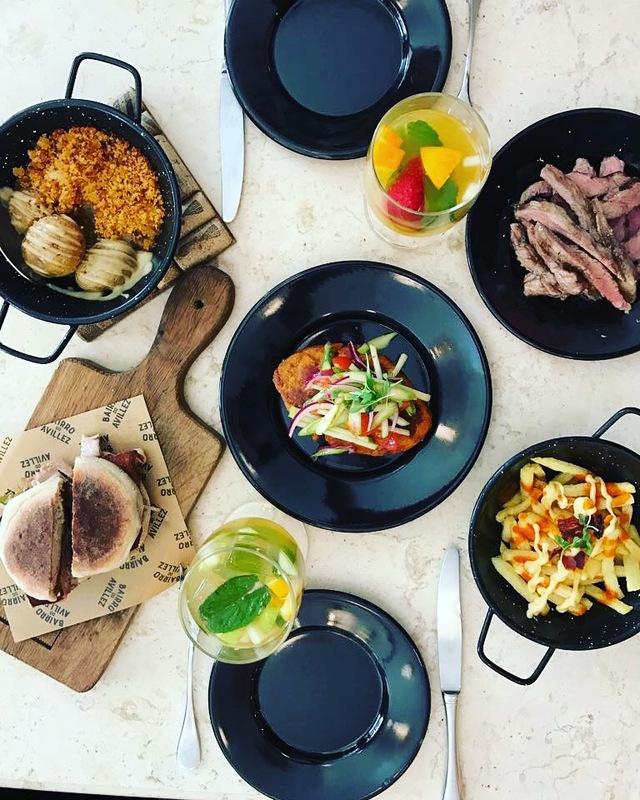 The food scene in Lisbon is pretty happenin’! There are a lot of cool, hip, and creative places to try. Anthony Bourdain and Andrew Zimmern have featured this local hot spot, Cervejaria Ramiro, on their shows so it’s pretty popular. We waited 1.5 hours to be seated, but that’s par for the course. Lindsay and Jill did go back another time, at 6:30 to avoid the later dinner crowd, and were seated in ten minutes. We’ve also heard that going at around 10pm is good, too. Don’t expect exceptional service here, as to us, the waiters seemed a little cocky and curt, but the seafood alone is worth a visit. We ordered the sapateira (crab) and the tiger prawns. They were both outstanding. 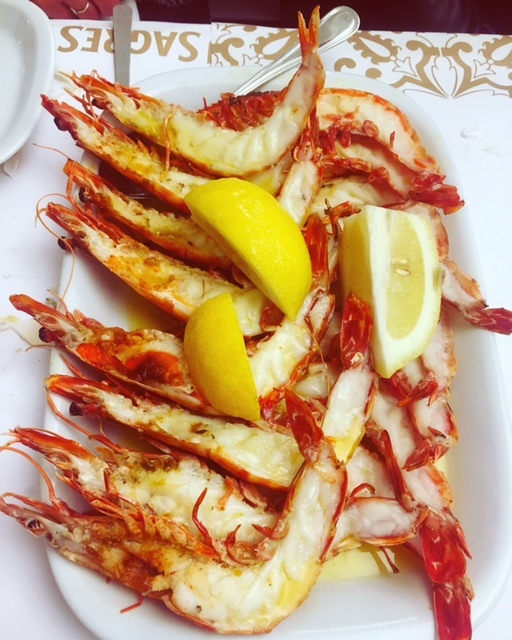 The prawns were so sweet and perfectly cooked with the right amount of butter and lemon juice. They were, in all honestly, worth the wait! 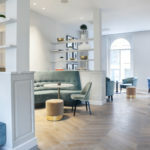 You should also try Bairro do Avillez. This was probably my favorite eatery in Lisbon. The food was phenomenal and so was the sangria! Lindsay and Jill also highly recommend Taberna da Rua das Flores for their changing and fresh menu. The best bread that we had in all of Portugal was a flat bread from the north of the country that the Taberna serves you before you order. See a Fado show in Lisbon’s Alfama district. Fado is a type of traditional Portuguese folk music. The lyrics are sorrowful, so don’t go if you need a pick-me-up! There is a modern form of fado that I enjoy more than the traditional version. Most of the restaurants in Alfama will have fado singers entertaining while you enjoy your meal, but there are actually venues around town where you can partake in a proper fado show. Pack a picnic and hang out at Jardim Da Estrela. It’s beautiful and well-maintained with a duck pond. There are some cute cafes inside too and if you feel inspired to do more sightseeing, check out the Basilica outside the park. If you find yourself in Lisbon during the summer, the park is used as a venue for free live music shows. 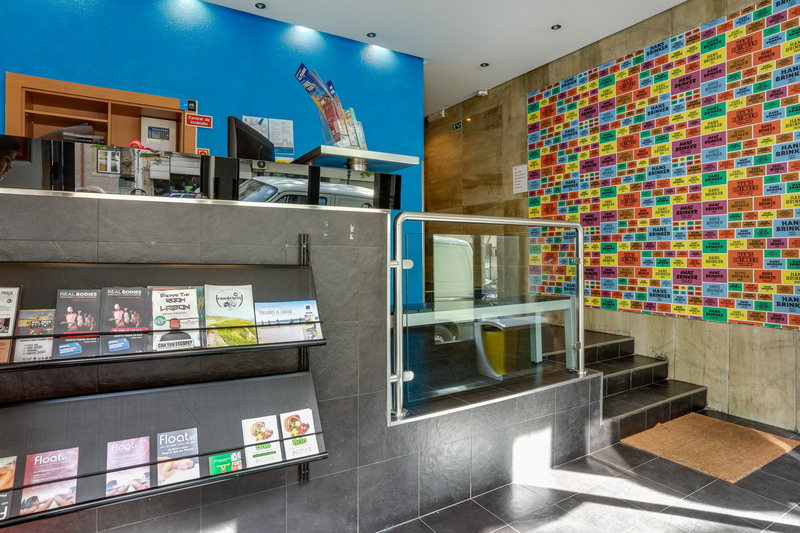 **As we mentioned before, when it comes to budgeting well, we enjoyed staying at Hans Brinker Hostel. As you’ll see from their website, they’re all about parodying how basic their hostel is. With signs around the hostel like, “Same Dubious Service, Slightly Better Weather”, Hans Brinker isn’t pretending to be anything it’s not which gave us quite the chuckle, especially being the no-pretense type of people we are. The plus of this place is that it’d be a real challenge to find a better bang for your buck in terms of an affordable bed right in the heart of the city. It is very close to the metro and bus lines you’ll need to get around the city, and most Uber rides we took from the hostel to key points around Lisbon ran us from 3-8 Euro. The old city center is about a 20 minute walk away. From 14 Euro per night, you’ll get a dorm bed (other rooming options are available) with clean linens and a towel, plus a free breakfast buffet with all the fixings (including Nutella! Or is that only exciting for us?). The people who work at the front desk are friendly and proud to be from Lisbon, so you’ll encounter no shortage of ideas from them about what to do while you’re visiting. We enjoyed taking our breakfast on the hostel’s sunny terrace, and with over 200 beds in the hostel (bring earplugs, because if the hotel is at max capacity, there might be some noise! ), we guarantee you’ll make new friends from all over the world here. We also appreciated that Hans Brinker is within a block of a few grocery store options. While you can’t prepare your own food in the kitchen of Hans Brinker, we were able to pick up sandwich fixings and other prepared foods at the local Pingo Doce market just around the corner from the hostel. There’s also prepared food in the reception area of the hostel that is for sale. We really enjoyed their fresh fudge brownie, and this means something given how particular we are about brownies! If you’re looking for a cheap bed in the best location, you can’t go wrong with Hans Brinker. Also, since we recently covered our favorite luxury lodging in Amsterdam, those of you who are working with more strict budgets might be happy to know that Hans Brinker has a hostel in Amsterdam as well. We hope these recommendations serve you well in Lisbon! Happy travels! !